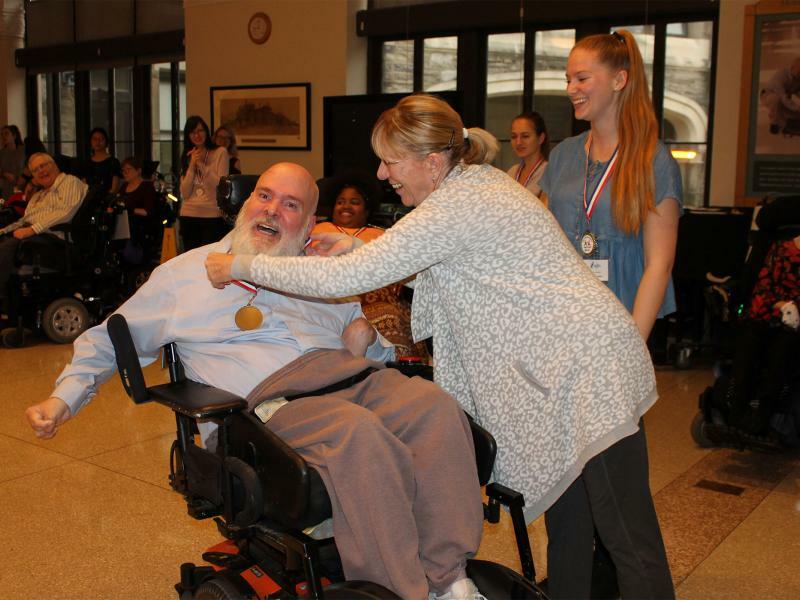 Inglis partnered with the American DanceWheels Foundation (ADF) for its second competition held on November 15, 2017. The seated and standing dancers performed The Hustle and the Tango. The dances mimic traditional ballroom dancing in all aspects, with a few adaptations incorporated. Twelve couples, each including a seated and standing dancer, competed. The ensembles were scored by a panel of judges which included: Katherine Forbes, Adapted Technology Therapist at Inglis House who is a trained Irish dancer and teaches dance in her spare time; Gwen Vilade, Recreation Therapist who teaches Zumba class at Inglis and has been a dancer since childhood; and Janet Liciardello, an Inglis resident who danced ballet and tap as a child and later went on to perform at the University of Pennsylvania. Stephanie Corp Maguire, President of ADF was also in attendance to assist the judges in tallying their scores. The judges selected the winners based on posture, connection with their partner, rhythm, lead and follow abilities, execution of steps and wheelchair skills. 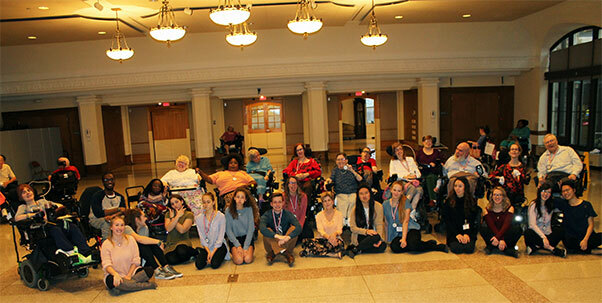 The dancers practiced for eight consecutive weeks at Inglis led by Melinda Kremer, Executive Director/Ex-Officio, Founder of ADF, and Jacklyn Bokunwicz, Therapeutic Education Instructor & Recreation Therapist at Inglis.